IMPORTANT: If you're not planning on using MailChimp anymore, don't use this integration. 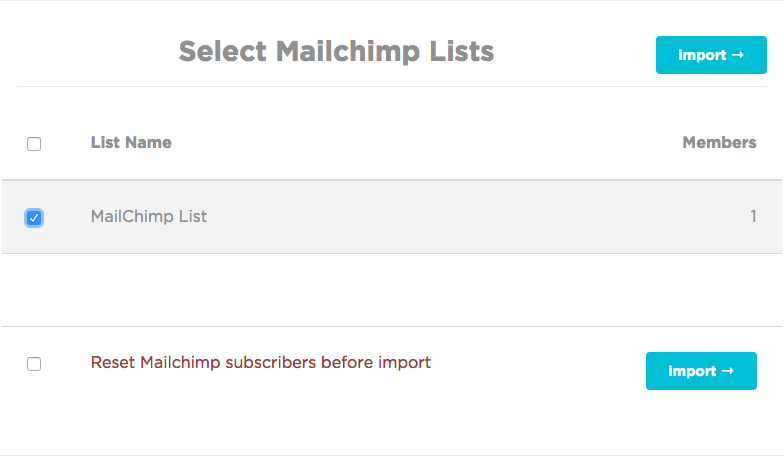 Export your list from MailChimp and create a new list in SmartrMail. Still sending emails on MailChimp? You can sync your list into SmartrMail with just a few clicks. It takes a few minutes for SmartrMail to import your lists. Once imported, lists will be synced every hour for new or unsubscribed subscribers. Note: MailChimp lists cannot be used for welcome emails. To set up a welcome email series, you will need to create a new list and collect new subscribers through your store embedded HTML form or through our email collection popup.